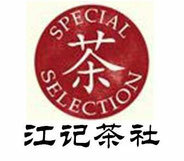 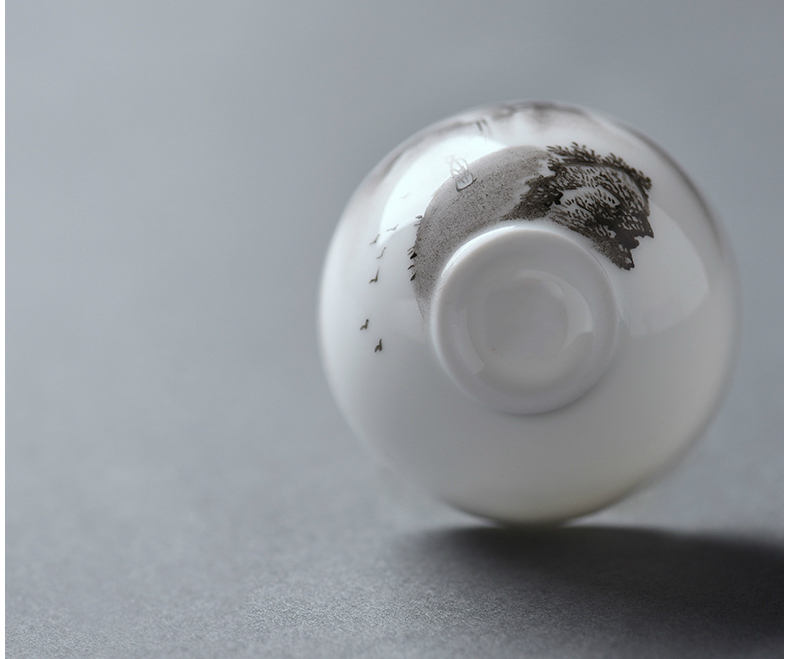 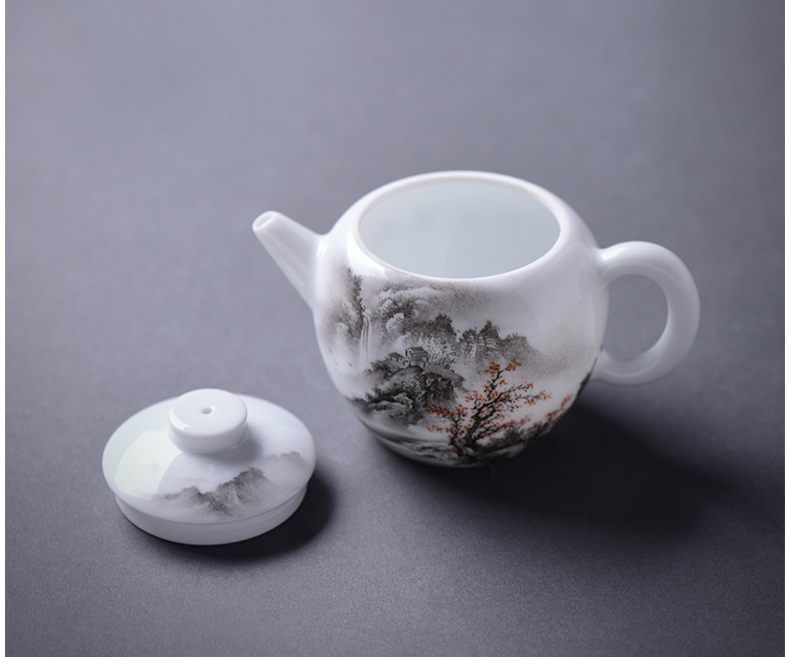 Black-color, one kind of overglazed porcelains, refers to porcelains that use black color to paint on the glaze of the base and then are fired in the stove. 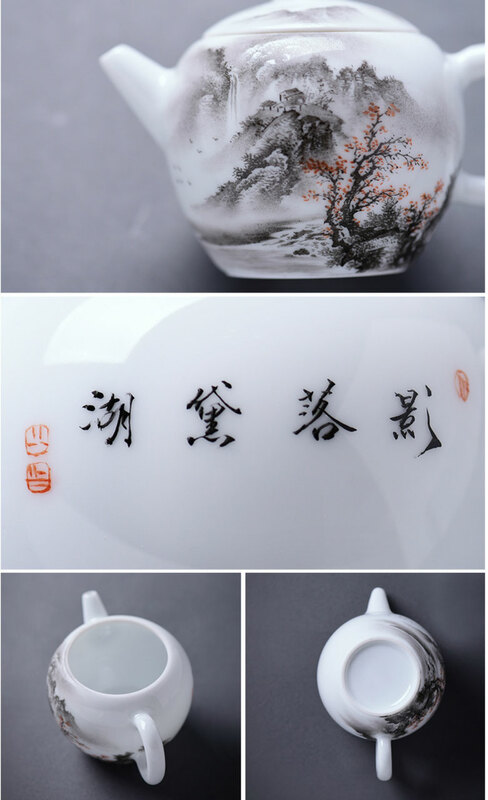 The color will stand for a very long time. 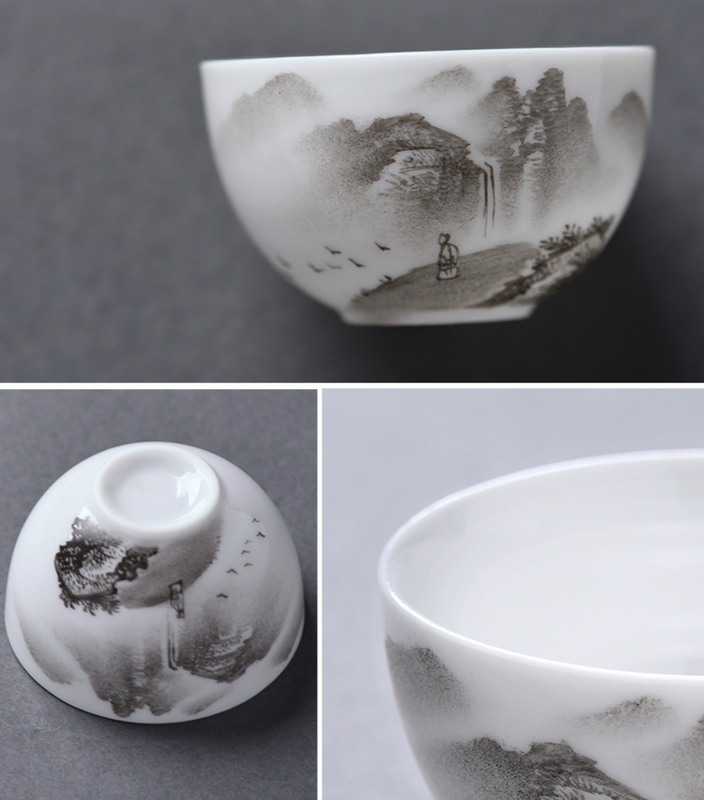 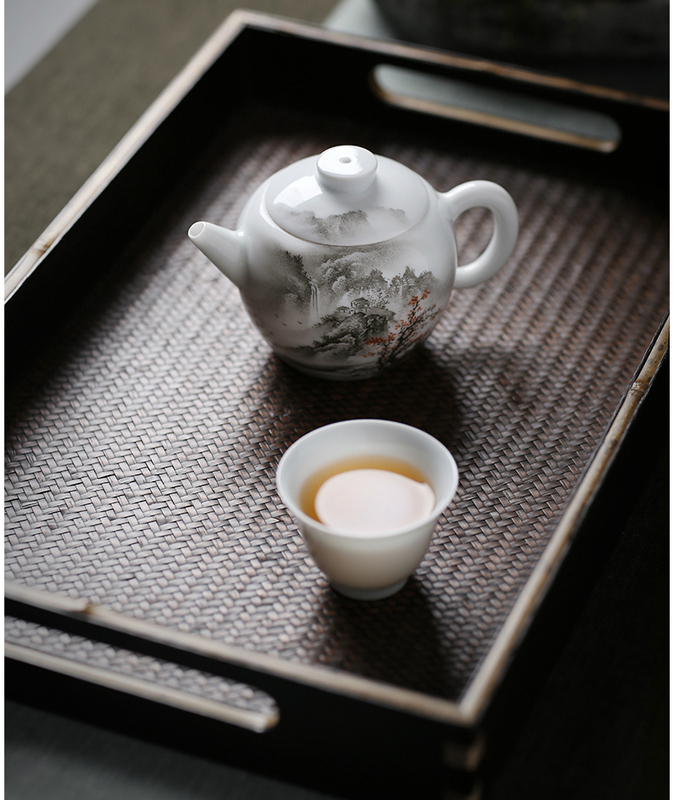 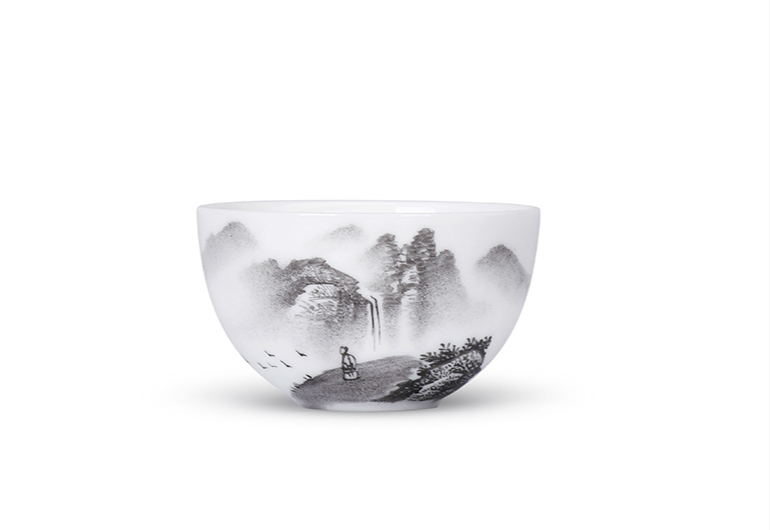 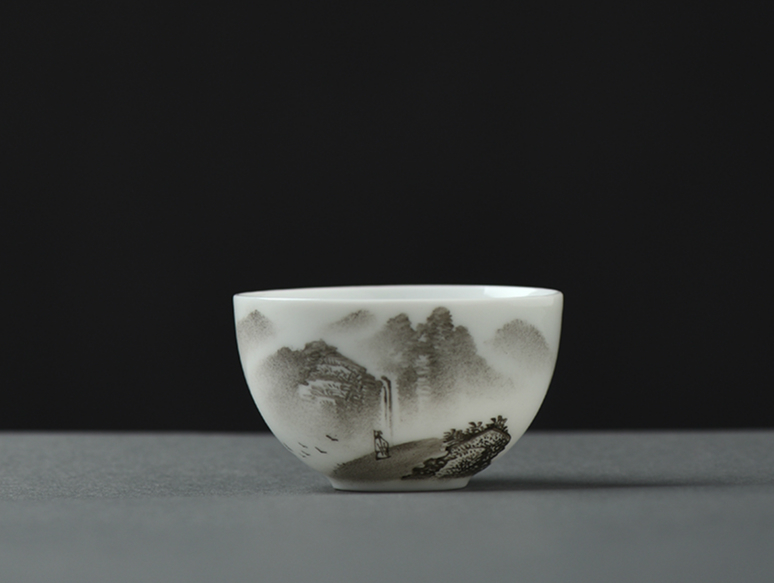 Black color porcelain teawares started in the mid stage of the Reign of Emperor Kangxi, the Qing Dynasty, became popular in the Reign of Emperor Yongzheng, Qianlong and this trend till the end of Qing Dynasty. 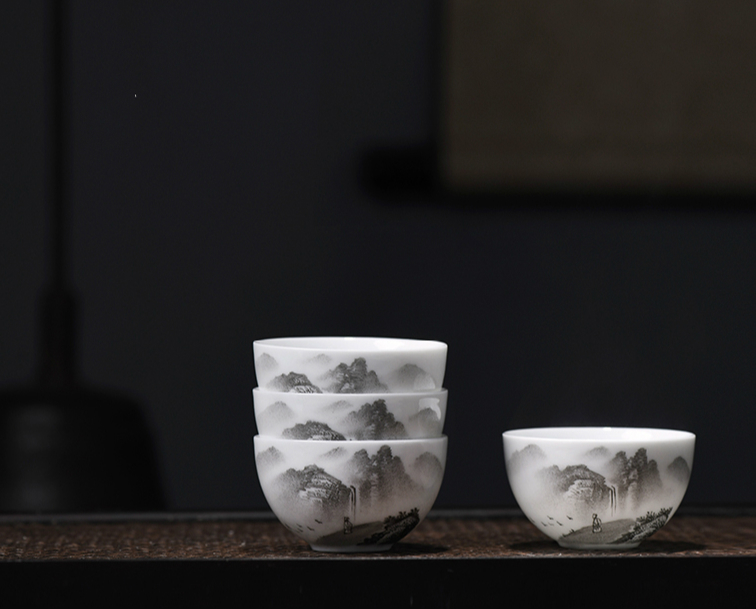 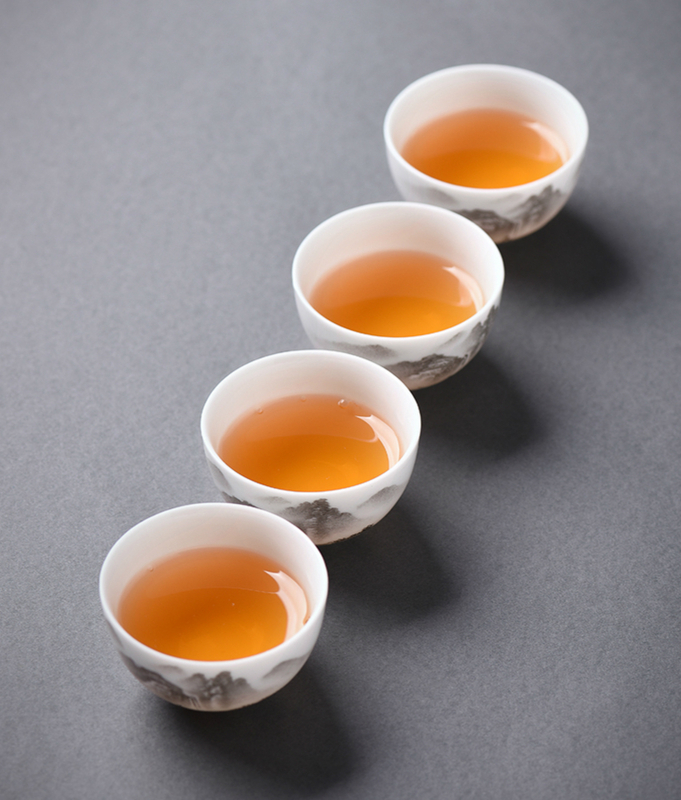 In the reign of Emperor Kangxi, black color was dark while the color glaze was pure. 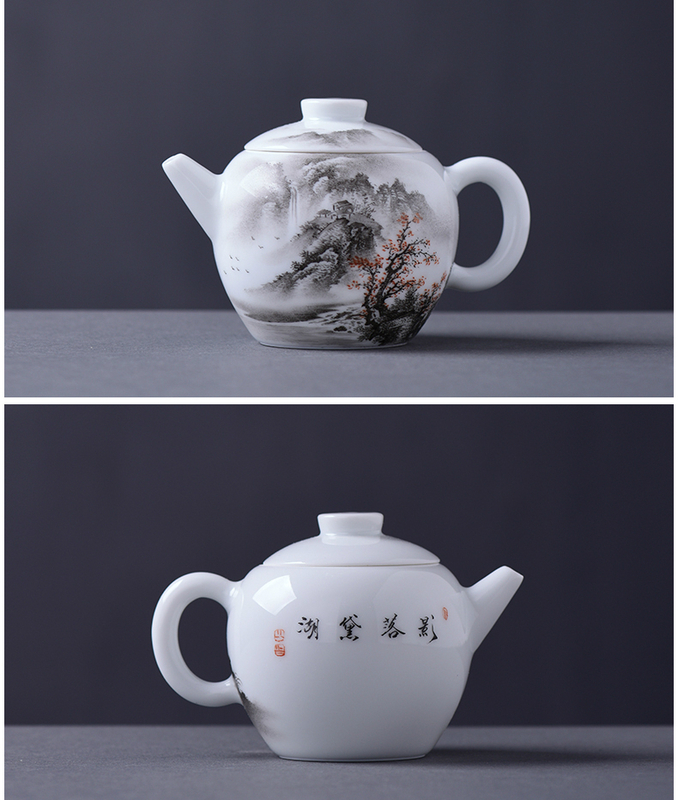 Thus the porcelains looked black and bright when finished. 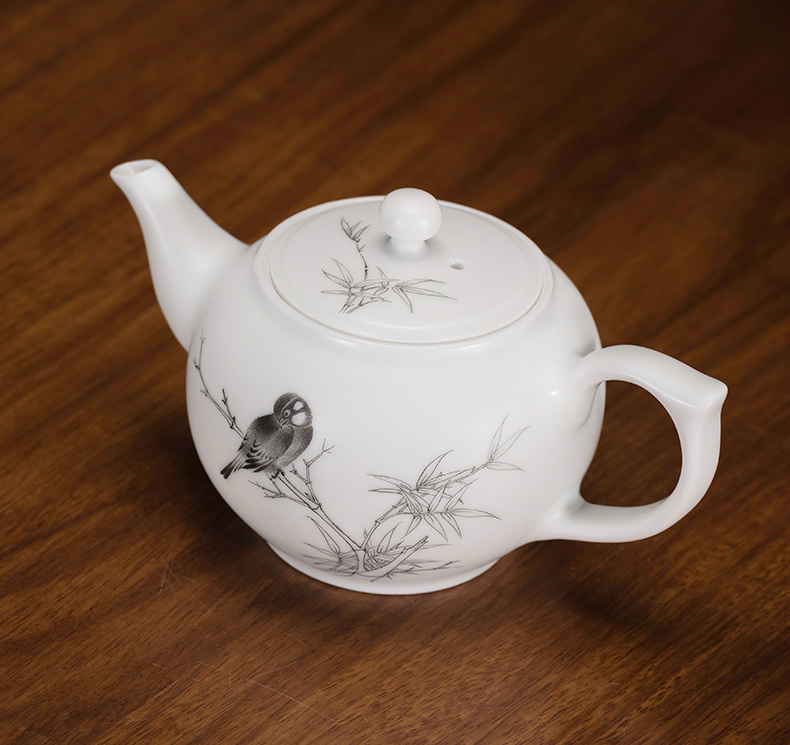 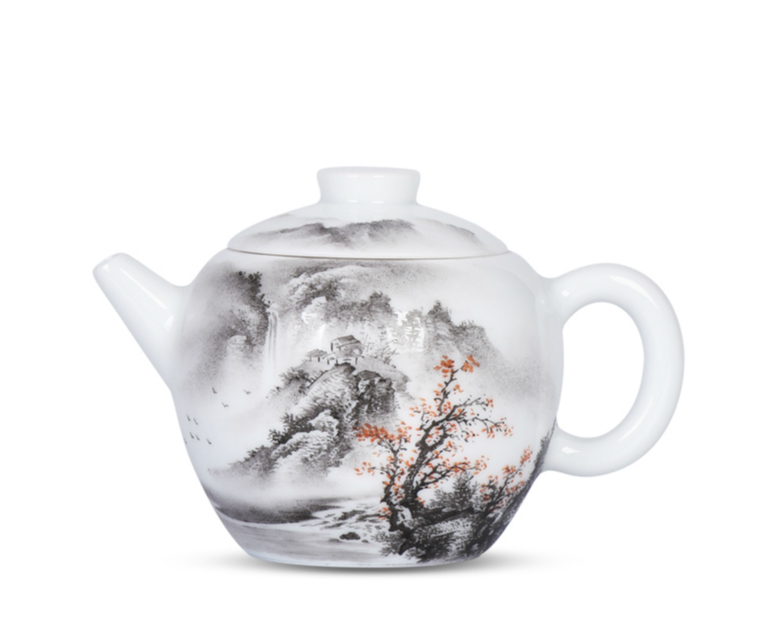 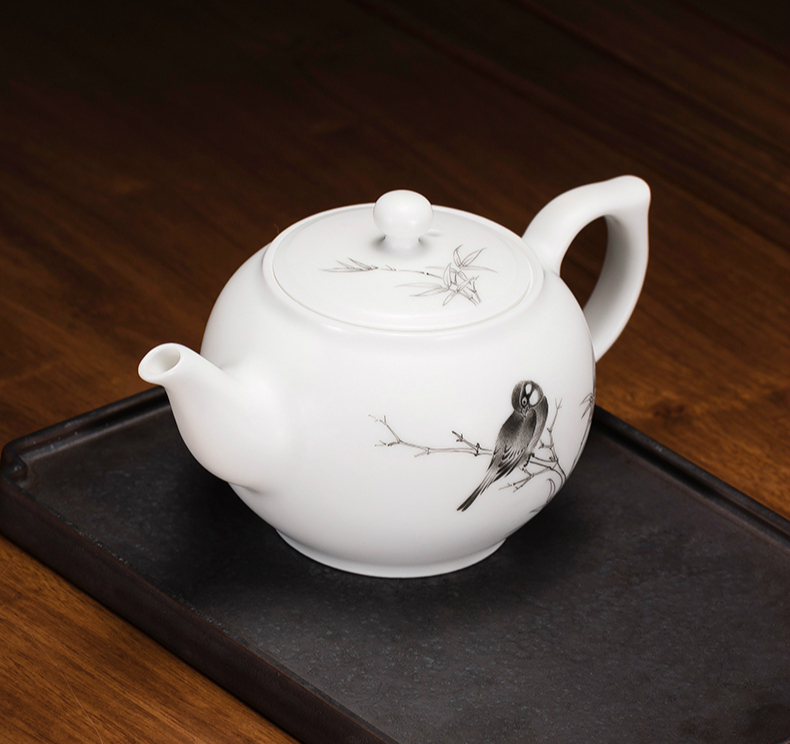 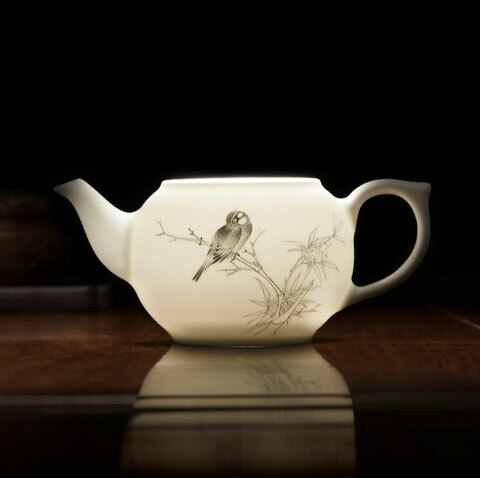 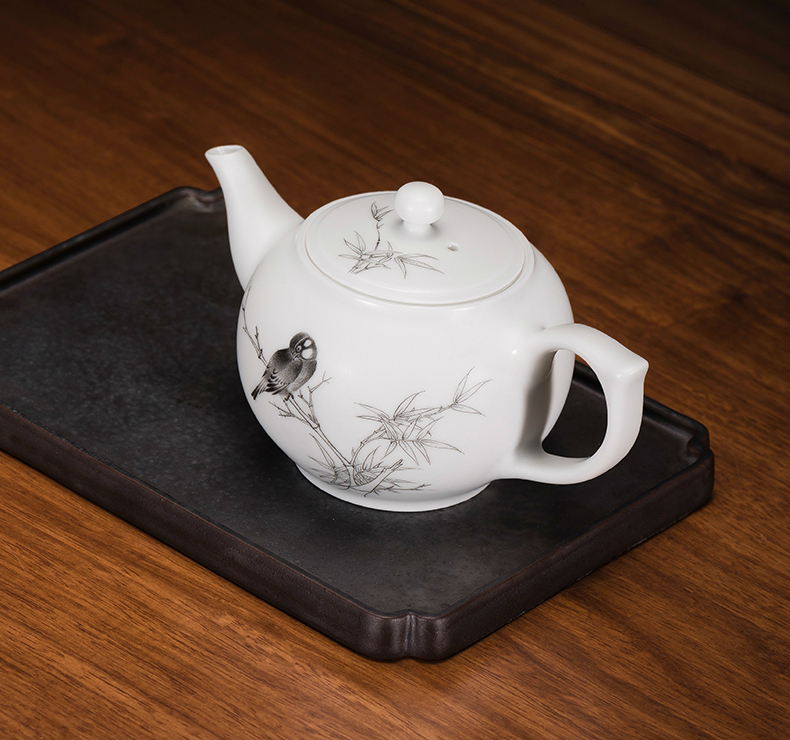 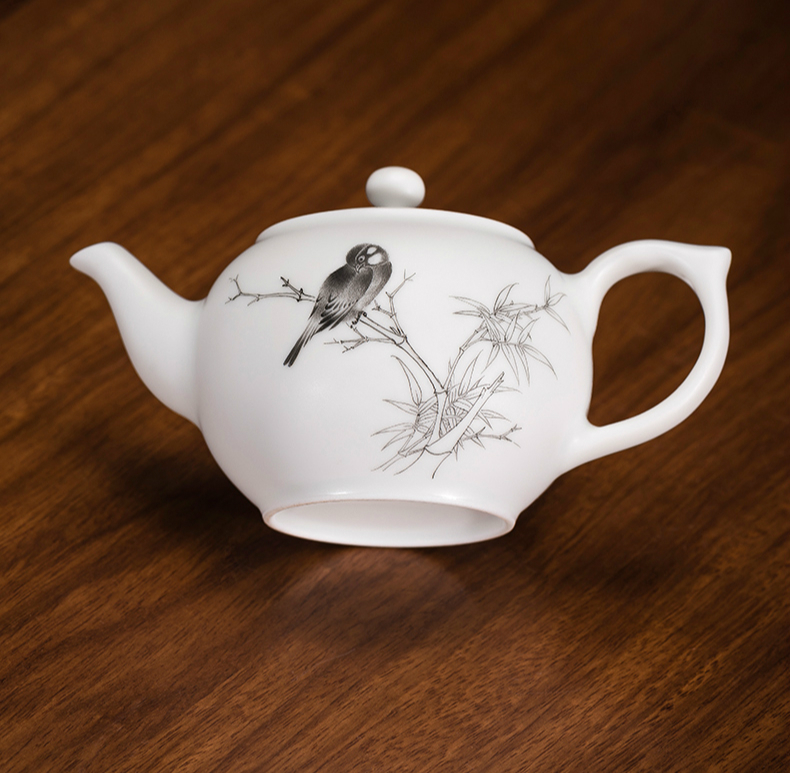 Black color porcelain teawares mainly used flower and bird patterns, which was deeply influenced by the painters at that time. These patterns look like writing on white paper, which show a perfect mix of dark and light, looking clean and elegant.